Twenty-four years ago Cory Stillman was an OHL champion, wrapping up a three-year junior career spent with the Windsor Spitfires and his hometown Peterborough Petes having produced 271 points (85-186–271) over 178 career regular season contests. Over 1000 NHL games and a pair of Stanley Cup championships later, he’s preparing for his first season behind an OHL bench. 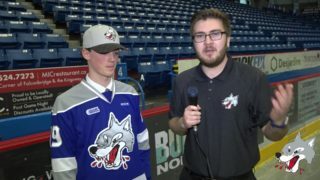 With three straight sub-.500 seasons in the rearview mirror, the Sudbury Wolves have shaken things up under new owner Dario Zulich, with the latest change involving the team’s uniforms for the 2017-18 season. Stillman’s appointment as head coach is one of several intriguing offseason developments in the Nickel City accompanied by constant buzz involving the prospect of a new facility being built in Greater Sudbury. 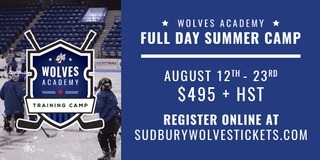 “Every time you see Dario he’s upbeat and excited,” said Stillman of his first impressions in the weeks following his acceptance of the head coaching job in Sudbury. “We share a common desire to produce a team that comes and competes hard every night and takes pride in developing quality hockey players. 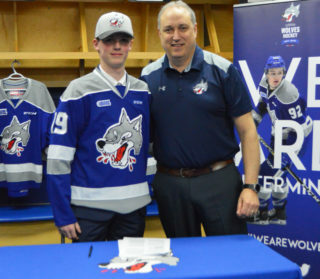 Stillman is working alongside new Wolves general manager Rob Papineau, a fellow OHL graduate who skated with the Ottawa 67’s and Detroit Compuware Ambassadors from 1988-91. The two have prior working experience during their time with the Carolina Hurricanes organization as Stillman served as the club’s Director of Player Development while Papineau was an Amateur Scout. 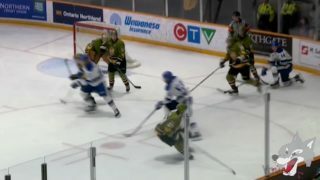 Sudbury earned a playoff spot last spring before falling in six games to Riley Stillman and the Oshawa Generals in the first round. That series, along with other exposure to the Wolves as an observer of the league, left an impression on the elder Stillman. The Wolves are returning a large group of goal-scorers from last season including 48-goal Minnesota Wild prospect Dmitry Sokolov who patrols the wing with a quick release. 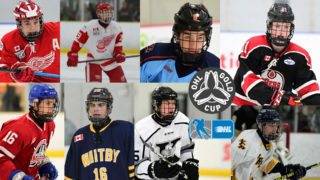 Former first overall pick David Levin is eligible for the 2018 NHL Draft, 30-goal scorer Macauley Carson returns for his third OHL season and speedy centreman Ryan Valentini will be back for an overage campaign. While lighting the lamp shouldn’t be a problem for the returnees up front, the blue line transitions into life after graduated captain Kyle Capobianco. Overage candidates in Zach Wilkie and offseason addition Kyle Rhodes join fourth year veteran Reagan O’Grady in eating up minutes as the Wolves ease younger talent into more pronounced roles. CHL Import Draft selection Zack Malik, the son of former NHL defenceman Marek Malik, joins the club from the Czech Republic this fall while newly acquired rearguard Nolan Makkonen and returning 18-year-old Conor Ali will continue their development under newly hired assistant coach Jordan Smith who will oversee the defence. For fans that appreciate the physical side of the game, the Wolves are a team to circle on the calendar. Pesky Pilon twins Drake and Darian keep the opposition on its toes while Montreal Canadiens prospect Michael Pezzetta continues to be a big physical presence down the middle. 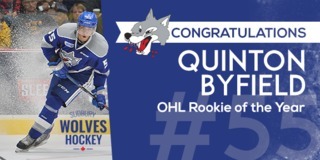 While every team needs grit and tenacity, playing on the edge has its consequences as the Wolves were the most penalized team in the OHL last season. “Our discipline as a team will be addressed,” Stillman noted. “You can’t take the competitiveness out of a player, you have to let them play with intensity, but guys have to realize that when they cross the line it costs the whole team and we can’t afford to be doing that too often. The Wolves have made an intriguing hire in Stillman, who has never coached at the junior level since retiring from the NHL in 2011. Conversely, there’s something to be said for an individual that has spent each of the last 27 years involved in some level of high calibre hockey whether that’s on the ice or in the front office. “It’s been quite a while since I’ve been directly involved in the OHL, but my love for the league is still there,” he said. “Being from Peterborough, I’ve watched my share of Petes games over the past several years and I’ve also kept tabs on my son Riley in Oshawa.